Mike, his wife Carrie Anne and their son Anthony came to the Central Coast in 2003, quickly falling in love with Avila Beach and settling in the San Luis Bay Estates. Mike is a manager with PG&E and has been actively involved as a volunteer with community organizations like the American Red Cross and other public safety agencies over his career. You can often find Mike on the Bob Jones trail enjoying a cup of coffee while walking his dogs, or at the top of the Sycamore Ridge trail enjoying the beauty of Avila Beach with his family and friends. Cyndy has lived on the Central Coast since 2011 where she and her husband feel privileged to call Avila Beach home. Her career experience has included numerous technical and finance managerial roles in medical device and application software technology companies, building and running her own acupuncture and herbal medicine practice in Colorado, and various volunteer positions. She is an avid trail runner and is passionate about preserving open space and quality of life in Avila and SLO County. With two children out of college, she is looking forward to using her extra time to contribute to the community. Richard and his wife Kathy have lived part time in Avila Beach since 2001 and were lucky enough to move here full time in 2014. Their love of Avila Beach and the surrounding area began during their college days at Cal Poly. After graduating from Cal Poly he worked and managed his family's Poultry and Feed Commodity businesses. He was a member of the California Agricultural Leadership Program. Richard has served as President and Director of many Industry and Civic Boards and he is currently on the Central Coast Aquarium board. He enjoys managing businesses and investments, the outdoors, music, traveling, family, and friends. Gary Maier and his family have resided in the Avila Beach area since 1992, where they enjoy the availability and variety of year-round outdoor activities. Having held several positions with Pacific Gas and Electric, Gary is now a Strategic Projects supervisor. In addition to his new role with the “Foundation”, Gary is involved with SLO Color Blast, which is a fun run dedicated to the spirit of his son, Alex. Staying active and healthy is important to Gary, so he is often found playing tennis or working out at the Avila Bay Club, or hiking one of our local trails. Lucinda is a long time SLO County resident who was raised in Cayucos and has lived in Avila Beach since 2004. A very active member of the community, she has served as a Cayucos Advisory Council member, as executive director, board member and board president of several non-profits, as a member of the SLO County Community Foundation Womens Legacy Fund Grants Selection Committee, and as grants administrator for the Nevada Humanities Committee. Lucinda attended the University of Nevada-Reno for undergraduate and graduate school, and has earned degrees in Anthropology, Archaeology, Sociology and Spanish. She enjoys working out at the gym, volunteering, walking, gardening and traveling especially in Mexico where she has had a condo for almost 30 years. Saul and his wife Carol moved to the Avila Valley (San Luis Bay Estates - Indian Hill) from San Luis Obispo in 2008 - only 10 miles from their previous home but a huge difference in life style and ambiance. Saul taught in the Electrical Engineering Department for 35 years and during that time served a term as chairman of the Department and Director of the Cal Poly Electric Power Institute. Since moving to Indian Hill he has served on the Board of Directors of the San Miguelito Mutual Water Company, the Indian Hill HOA and the Avila Valley Advisory Council (AVAC). Saul enjoys walking to the beach, golfing and biking. Paul and his wife Jackie have owned property in Avila since the late 1980s and have been residents of Downtown Avila since 2003. In addition to helping run the family real estate business, Paul is also a long-time member of the Cal Poly Adjunct Faculty. 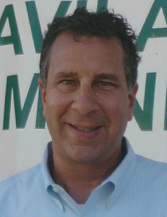 He has served on several boards including the SLO Children's Museum, Arts for Living and Special Olympics. Paul and his wife Jackie have been married for 47 years and have four children and five grandchildren so far! Always inspired to assist others with their own financial lives, Brooke formed Salvini Financial Planning in 2004, and her office has been located in downtown Avila Beach since 2007. She earned her CPA license in 1984, and remains very active in the CalCPA and AICPA organizations. She also holds a Certified Financial Planning designation, and loves balancing both the personal touch and technical experience that financial planning can offer her clients. Brooke lives with her husband of 25 years in Edna Valley, and they have 2 college aged children. She and her dogs enjoy running, both on local trails and on the beach, and she is also an avid equestrian. Percy and his wife first found and fell in love with Avila Beach in 1997. They moved to this paradise in 2003 with their two sons. Percy is currently a Battalion Chief with the Los Angeles City Fire Department. In his 31-year career, Percy has worked with many community-based organizations, and in his spare time coaches basketball and football. 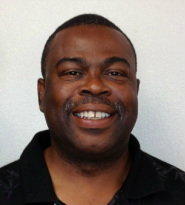 Most recently, Percy served as an assistant coach with the San Luis Obispo Youth Football League. Percy looks forward to serving the Avila Beach Foundation and the community of Avila Beach. A native of Philadelphia, Ellen Pitrowski relocated to the Central Coast with her husband Tony in 1996. She was an attorney at the Santa Maria law firm Kirk & Simas, practicing in the areas of family law and estate planning. During that time, she participated on several boards. When her daughters joined the scene, she shifted gears to their care full time, becoming very involved at their school and the family’s property in See Canyon. A true lover of the beach, you can find Ellen in Avila cheering her girls on during Junior Guards, out running with her standard poodle, or taking in the sunset from Farmers Market or the pier. A native Washingtonian, Barbara moved to SLO County in 1996 for her career in retail. Since then, she’s worked as a Retail Application Consultant for SAP, a Retail Market Manager for Dioptics, an Advertising Sales Rep for national and major accounts for The Tribune, and as the Executive Director for Partnership for the Children of San Luis Obispo County, which operates Tolosa Children’s Dental Center for Medi-Cal and uninsured children, serving nearly 10 years before resigning at the end of 2015. She also works as an independent Event Coordinator specializing in small events. In 2016, she and husband, Howard, a Real Estate Appraiser, relocated from the San Luis Country Club area back to Avila, where Howard had lived previously. They reside in the Indian Hill community of the San Luis Bay Estates with their’ 4-legged children’, Rusty (cat) and Sampras (dog) where they enjoy a commanding view of the Avila Valley and peak-a-boo ocean view. _Rick and his wife Kay moved to the central coast in 1989, and settled in Avila Beach in 1995. 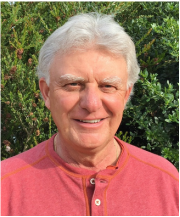 Rick has spent his career in the non-profit sector, working for well-known organizations such as the YMCA, the American Red Cross, Big Brothers Big Sisters, and HOTLINE of San Luis Obispo County. In his spare time Rick can be found golfing, playing tennis or softball, camping, participating in community coalitions, or consulting for local non-profit board members and staff. Stephanie and her husband Rick relocated to the Central Coast from Northern California in 2006 to be closer to family and to enjoy a slower pace of life. She was born and raised in Shell Beach and Santa Maria and after 20 years living in the Bay Area moved back "home". Stephanie has over 20 years of Human Resources and project/program management experience. In addition to her role with the Foundation, Stephanie is also the administrator for the Avila Beach and Oceano/Nipomo Tourism Business Improvement Districts. In her spare time Stephanie loves walking her two dogs, Riley and Tucker, traveling, enjoying a good cup of coffee (or cocktail) and spending time with family and friends.